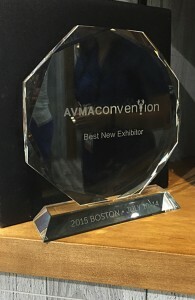 Each year, the American Veterinary Medical Association (AVMA) holds a convention for as many as 10,000 veterinarians, students, and exhibitors for continued education and networking in the veterinary community. Our client, BLUE Buffalo, attended this year’s show from July 10-14 in Boston, Massachusetts and stole the spotlight, earning “Best New Exhibitor” for 2015. 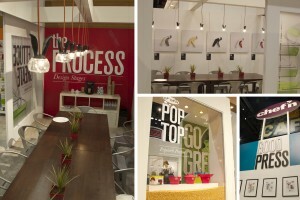 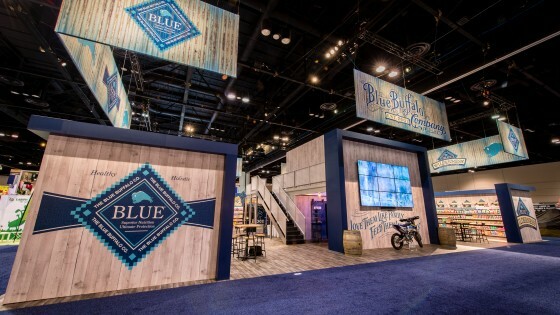 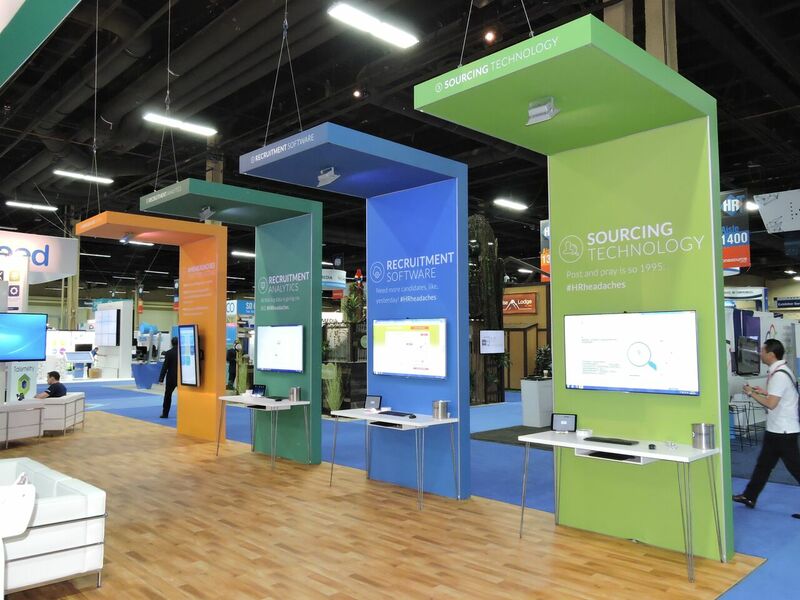 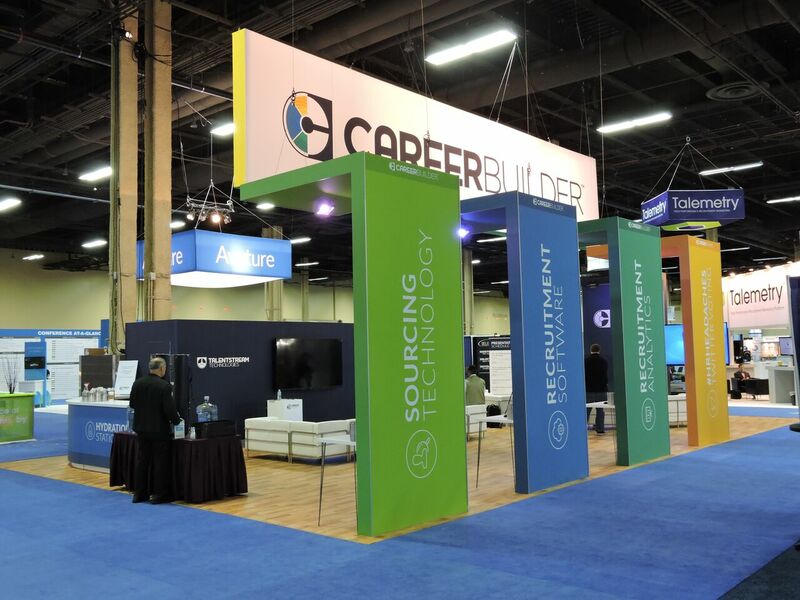 The BLUE Buffalo exhibit was designed for their True Blue Vet Program, which is a new division of the company focused on marketing to the veterinary industry. 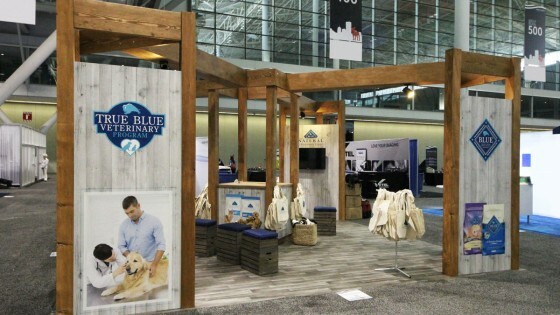 They began exhibiting at regional veterinary shows in the Northeast last year with a 10’ x 10’ booth. 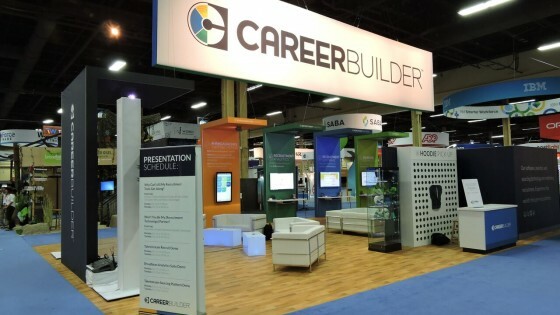 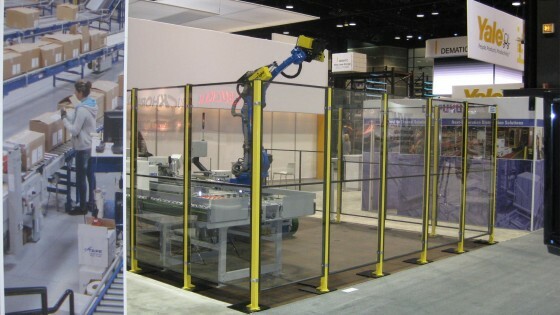 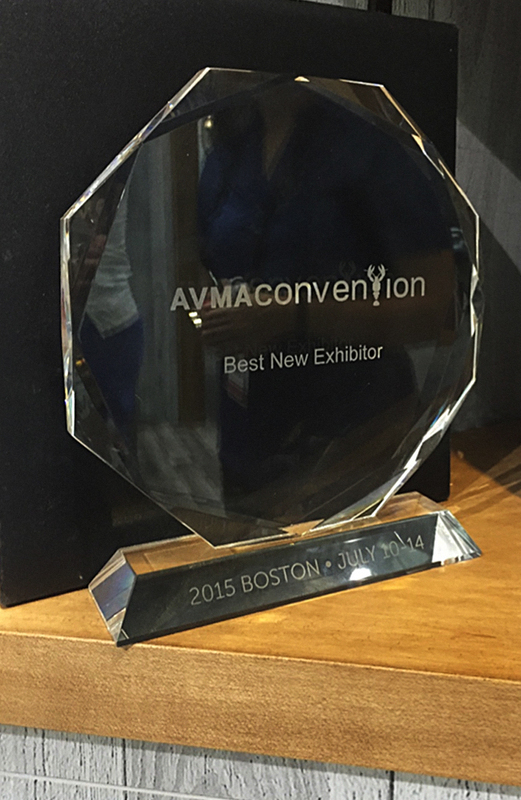 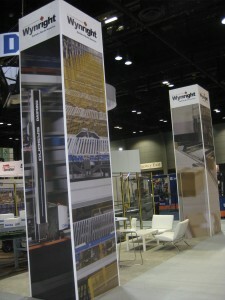 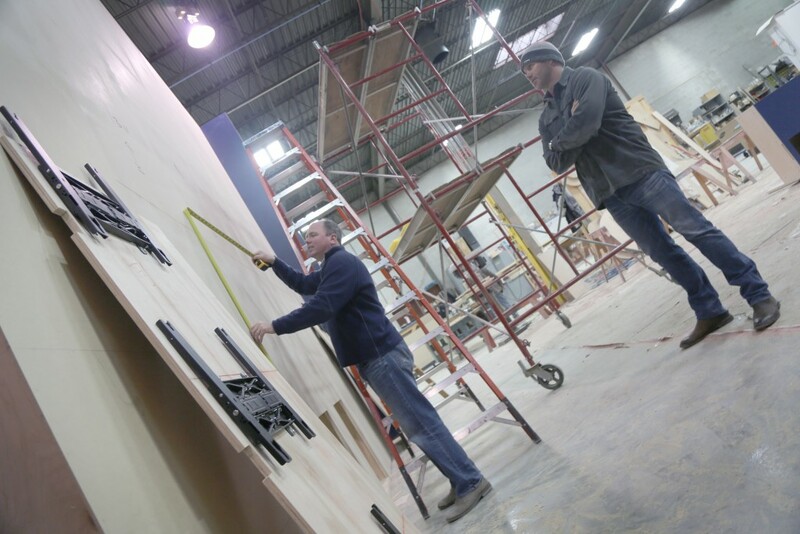 After the success of those shows, they decided to increase their booth space to a 20’ x 20’ for the AVMA show. 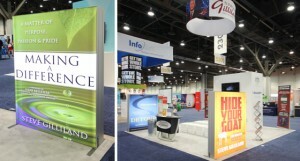 Working with their team, David Petrie from Marketing and Dr. Victoria Carmella, D.V.M. 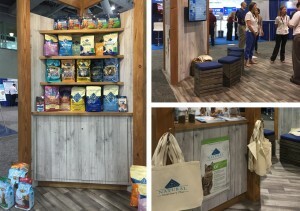 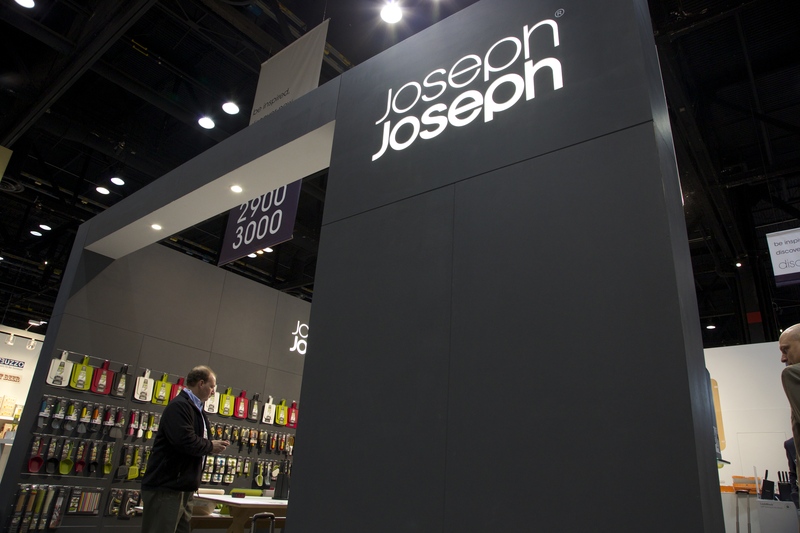 Director of Veterinary Business Development, we designed the island booth to be consistent with their existing booth used at pet retail industry shows such as Global Pet Expo. This new exhibit features an open design with corner structures connected to a center merchandising cabinet. 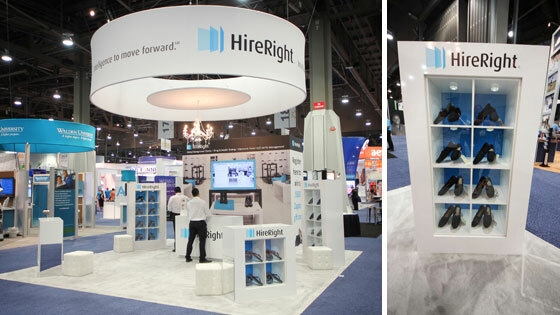 The highlights of two of these corner structures are 40″ monitors with a seating area custom-made from milk crates for a comfortable space during presentations. 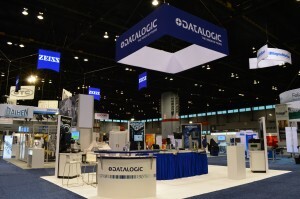 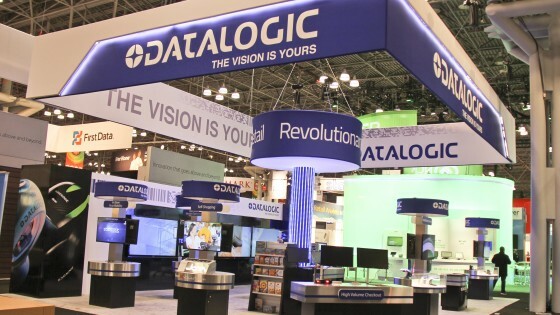 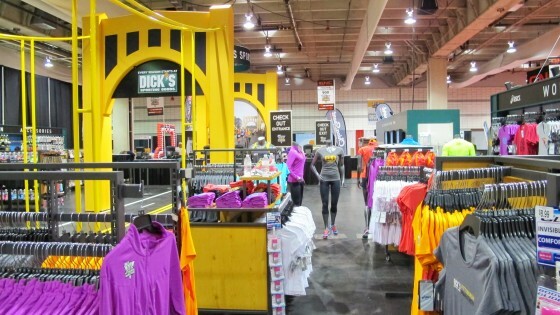 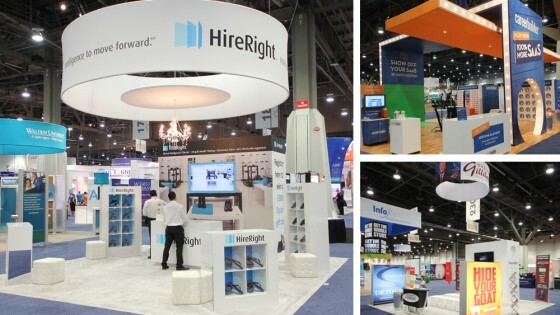 The other two corners showcased product displays with adjustable shelving, and the center area was also used for product display, collateral, and a central storage area. 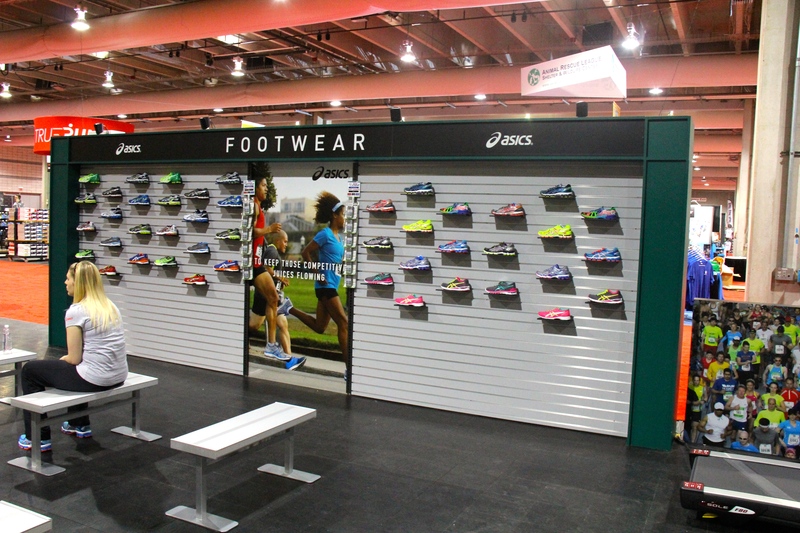 These additional storage spaces created aesthetically pleasing yet functional spaces within the open booth design. 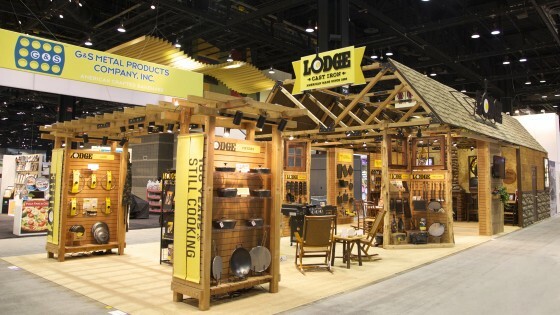 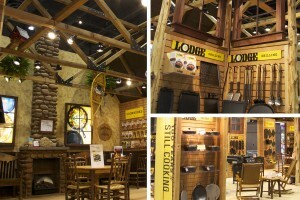 To enhance the rustic look and feel of the brand, vinyl “wood” flooring and natural wood structures were used in a consistent style to their retail booth. 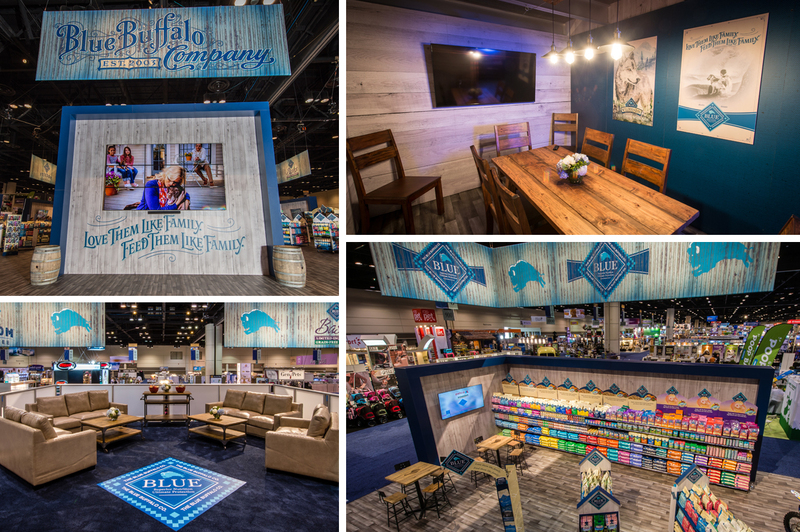 As long-standing partners with BLUE Buffalo, we’re equally excited to see their brand being recognized at such a prestigious event and look forward to seeing where this new program takes them.